The What: Matrox Graphics and IBASE have collaborated on the SI-61S nine-monitor system. Designed specifically to drive 3x3 video walls for digital signage applications, this Matrox C900-powered bundle features nine HDMI ports and a dedicated graphics processor designed to power all displays as one contiguous desktop at the full 5,760x3,240 resolution. 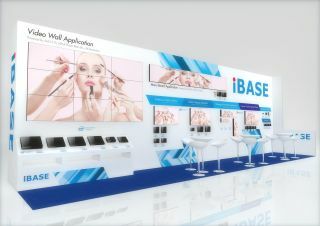 The solution is on display at IBASE’s DSE booth, 2849. The What Else: In addition to I/O flexibility, resolution support, and GPU performance, the Matrox C900 card in the SI-61S supports video wall software expansion including compatibility with the Matrox MuraControl video wall management software, the Matrox NetAPI video wall development API, and a host of Matrox-compatible, third-party video wall control and management suites. The Bottom Line: This 18.7-megapixel signage player maintains the popular Full HD aspect ratio of 1.78 while allowing nine times the pixel count for large digital signage applications.